2 Comments	This post may contain affiliate links. 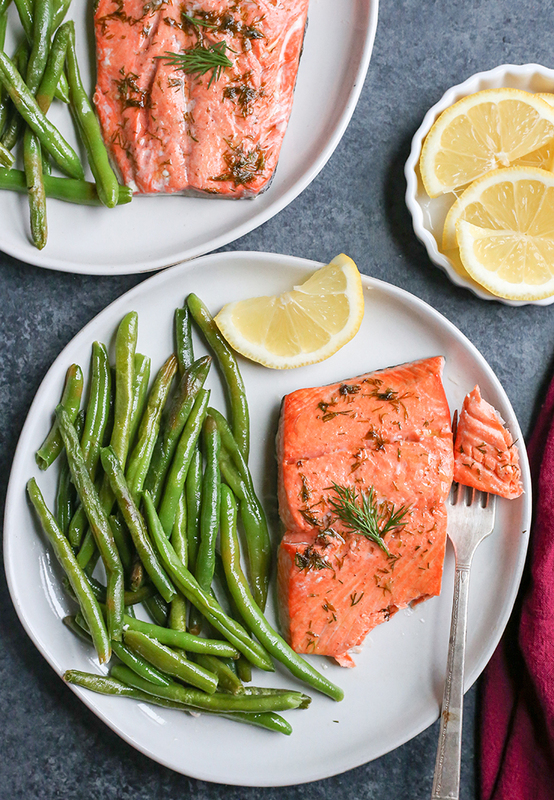 This Paleo Whole30 Air Fryer Dill Salmon and green beans is a whole meal made in 12 minutes! 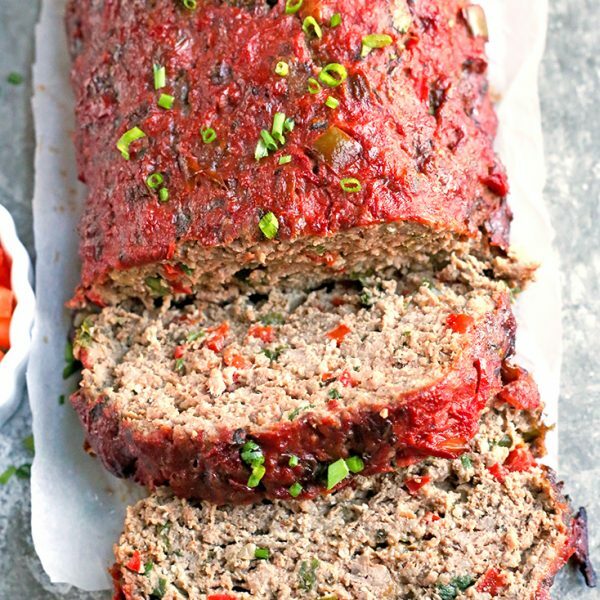 Gluten free, dairy free, low carb and low FODMAP. This meal is amazing. I just keep loving my air fryer more and more. 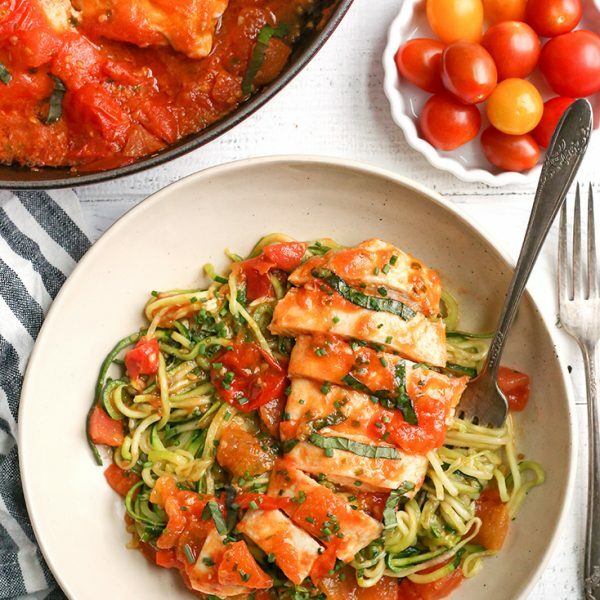 I tried this recipe out a couple weeks ago and was blown away at how easy it was and how perfectly it cooked the salmon. The salmon is moist, tender, and so incredible. I went with fresh dill for the seasoning since that’s always a good option for fish and of course garlic oil which is my favorite or flavor. 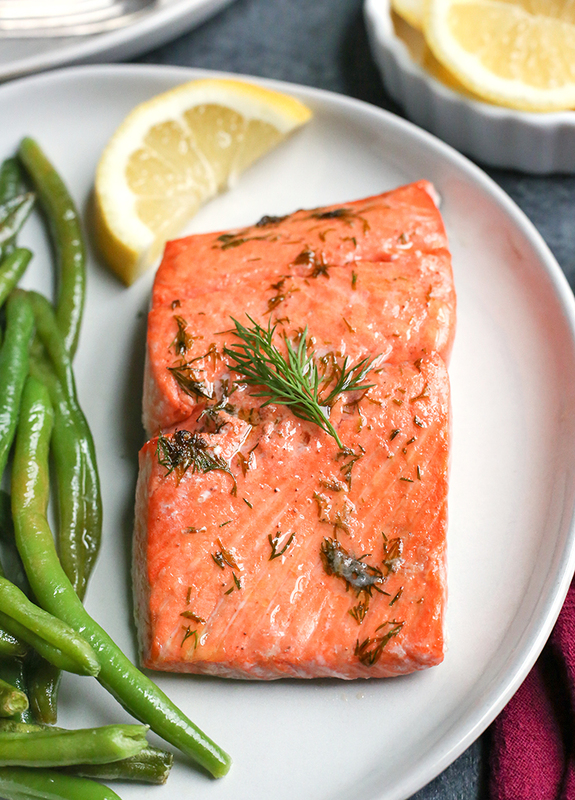 The green beans go in first and cook 6 minutes while you prep the salmon. I always use frozen green beans because they’re easy and I don’t have to worry about them going bad in the fridge. Once those 6 minutes are up, the salmon goes on top and the sauce in spooned on top of each filet. 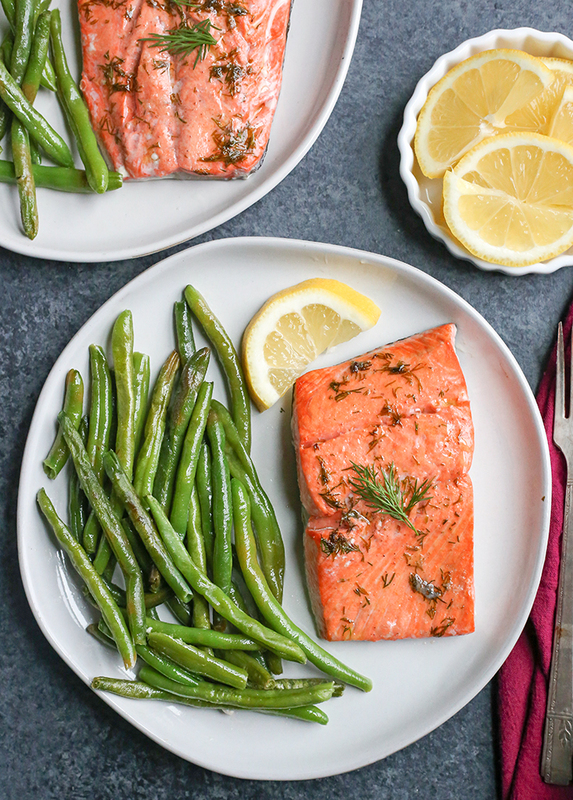 The green beans also act as a no-stick feature ensuring the salmon skin doesn’t stick to the rack. After another 6 minutes, you have perfectly cooked, flaky salmon and crispy green beans. I’m going to admit that I am not a salmon lover so my husband enjoyed these filets. It’s not my favorite thing to cook because it would always get a little smelly when it was baking. I’ve found making it in the air fryer produces no smelly fish scent and that makes me happy. It is important to buy wild caught salmon. Not only will the taste be way better, but it’s more sustainable. Farmed fish can be higher in contaminates, contain antibiotics and are fed processed food. Wild salmon is higher in minerals including potassium, zinc and iron and It is not hard to find. Of course Whole Foods or other health foods stores will carry it. I like to also buy it frozen at Costco. Make sure to also check out my Paleo Whole30 Air Fryer Carrots– so good! Preheat the air fryer to 375°. In a large bowl, toss the green beans with the oil and salt until evenly coated. Place in the basket of the air fryer and cook for 6 minutes. 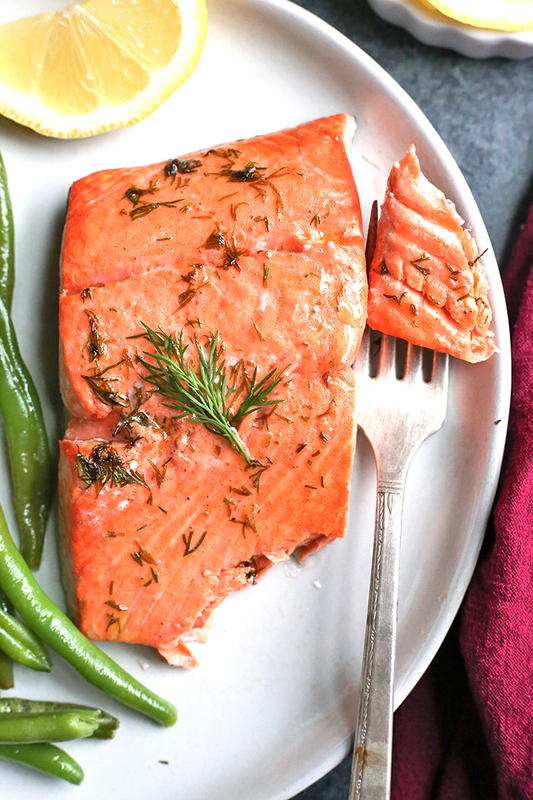 While the green beans cook, get the salmon ready. 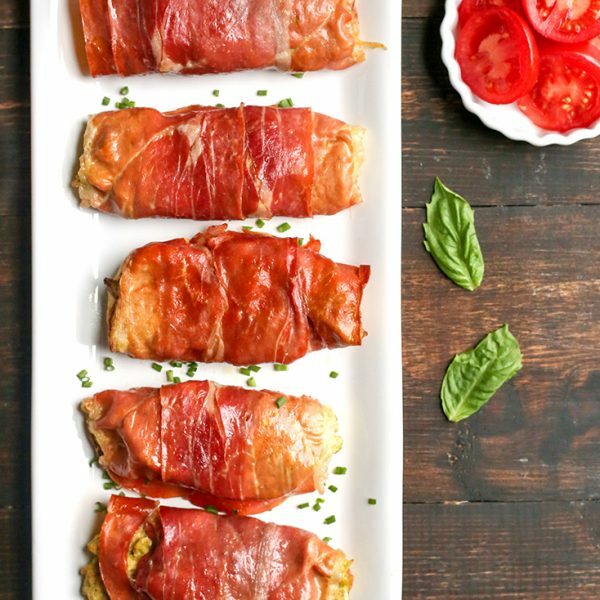 Dry them off and place them on a plate. In a small bowl, combine garlic oil, lemon juice, and dill. 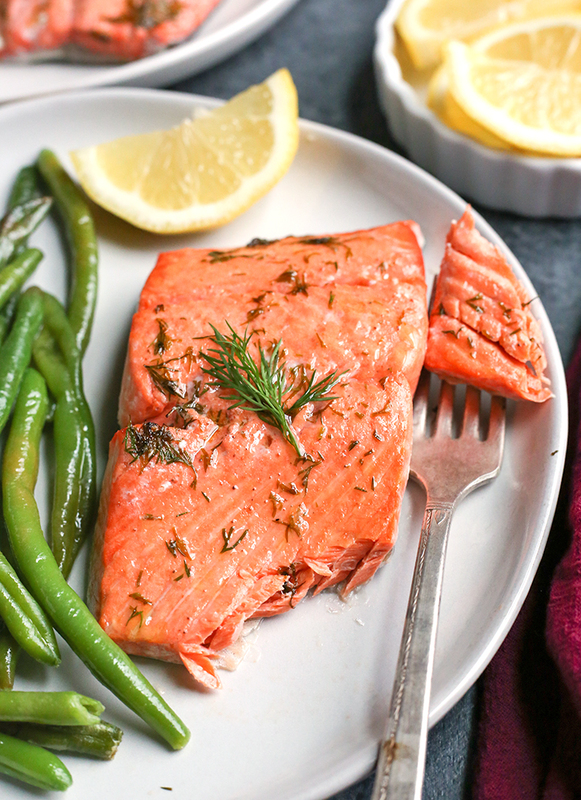 Once green beans have cooked for 6 minutes, remove them and top with the salmon pieces. Spoon the sauce evenly over each piece and sprinkle with the salt (1/4 teaspoon each). Make sure to have the rack over a plate so the extra sauce doesn't drip on the counter. Place back in the air fryer and cook 6 minutes. Serve warm. 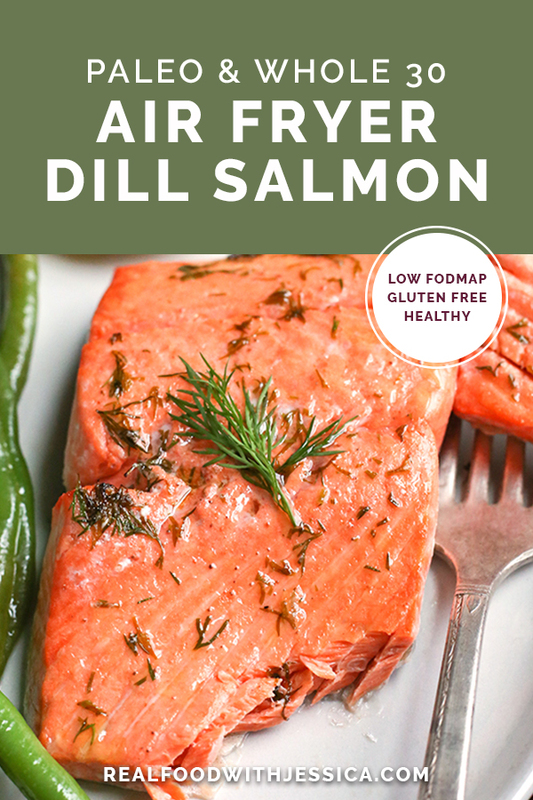 I didn’t realize that salmon could be made in the air fryer! 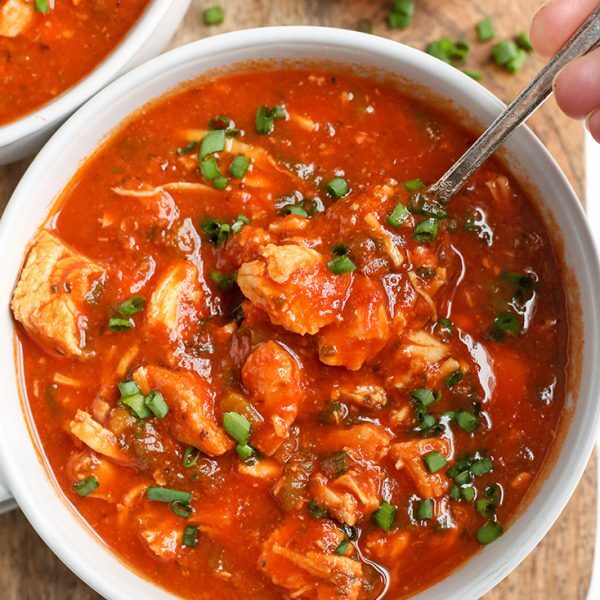 This is delicious and so easy to make! Thanks, Damaris! Yes, it comes out so perfect!